Forum Home Bk 10: The Midnight Cry Why is the Jewish Calendar Off by 244 Years? Many Christians are now worldwide persecuted perhaps, thus they could rationalize, “Will I be raptured, escaping God’s Wrath?” The same apprehension is felt in Israel seeing the prophesied Jacob’s Trouble at the door in Jerusalem. Both were misled by theologians scantly educated in science rejecting prophecy dating. Jonah-II tried to open a historic knowledge curtain with Babushka egg concept books and many side issue pearls but to no avail as most reject this global warning. Universities do not help either as much knowledge is suppressed causing society worldwide to allow evil to be concentrated, now aimed at Life to disappear on this planet. The imminent danger of total extinction guaranteed will have a reaction from the Creator ELOHIM not sleeping. A global political system is in the process of total collapse, the last birth pangs of the apocalypse have started being caused by sociopath NYC bankers printing money aiming to absolute rule over every nation, really intended to destroy all life on earth financing worldwide evil science technology. The global weather patterns are changed by a secret microwaves weapon HAARP linked to unheard floods forming typhoons, or severe drought causing the infrastructure of nations to be destroyed. Worse, recently two evils came to the forefront: one is how effective can we kill a population with Ebola bacteria used in Africa, and two try out trans genetic GMO technology on a bigger scale in South America. Night vision for a future soldier is desirable to see an enemy in the invisible infrared spectrum with genetic modified eyes now genetic experimenting on a bigger population scale used like laboratory rats. TV recently showed children born with horrible genetic defects with obvious features of animal-human mutation. Of course they always blame some unknown mosquitoes carrying the Zika virus that “could” infect millions. Modified Agent Orange has been sprayed again for obscene profits. Mostly forgotten, it killed millions in the Vietnam War still deadly detrimental to the environment lying and deflecting Truth. The global GMO food supply is now collapsing linked to uprising and looting empty stores. Recently they cancelled a San Francisco Dungeness crab season with toxic algae excuse. Northwest Iowa farmers had to kill 38 million chickens from alleged bird flu and forced to kill 45 million turkeys in Minnesota linked to Avian Flu. Mad-cow disease is suppressed, no longer reported in feedlots, all for invisible profit. Not surprisingly, a helicopter flying over US public parks found hundreds bigger-horned elk mysteriously dead. They were GMO modified larger to sell more hunter licenses for higher profit. The NEWS recently announced 1000 dead cattle in South America with a patent number on the ears. Billions of ocean critters washed up dead on California beaches in a red tide repeated on other global beaches. It gets worse. More massive death is caused by nuclear radiation technology dumped straight into the ocean from the Fukushima three-reactor meltdown still active and not fixed. The nuclear establishment has difficulties finding people to work in the facilities to clean up the mess. The public is better educated now and fears that radiation will ultimately kill them. They have seen the many YouTube victims stranded and dying without any hospital benefits. Nobody seems to be in charge anymore. It has truly become a “no-man” landscape repeated like at the Russian Chernobyl and the US Three Mile Island. To maintain nuclear facilities without an option, they will force prisoners to do the work, not telling them that deadly radiation will last 100,000 years. Just Google two words like “dead fish” to get truth not reported on your controlled TV. Mankind is on a path of total destruction. If God would delay just a few more years and not stop the global massive death, Life will not survive either and vanish. That would close the curtain of a universe theater playing God. But mortals forgot that the Creator is watching. The last technology schedule is linked to a Kosmos clock a Cuckoo bird calling - time is up - to save mankind once more, repeating Noah’s story reported in the forbidden Bible. Dating prophecy is avoided, but calendars in the Bible do exist. Many in Israel believe that 5776 ends the 120th Jubilee. But counting backwards from 2016 AD – 5776 = 3760 BC? Why not end the Jewish calendar in 4004 BC? Avoiding new discovered science published in Babushka egg concept postulated a corrected 7000-year Hebrew world calendar? 10 years ago was calculated from (5) five calendars still used today as overlaid with many museums bronze-gold clocks collecting dust. In the meantime many ancient clocks got decoded in Babushka egg concept book #3, which described how the Aztec stone clock in Mexico City museum has seven cycles multiplied times two = 14 possible moon cycles around the sun. In short, a calendar from before the 2288 BC Flood must be divided by seven to match the Julian calendar of the Bible to correlate with the oldest calendar still a mystery for many theologians ignored by universities. Most universities suppress truth; why not check a number of witnesses to confirm a new calendar theory. Ask the question, “Where does a math system of 14 come from?” For an example: why is the Genealogy of Jesus Christ grouped in fourteen cycles described in the Gospel all the way to Adam to 4004 BC, and why is it matching the (2x7=14) Aztec cycle clock in Mexico, and why in Jerusalem are there fourteen tourist stations ending at Golgotha where Yeshua was crucified in 35 AD (Gregorian)? If you want further proof, buy a graphic chart 17-foot long (worth the money) and find out a thou­sand kings, important people collected from history in a published foldout book: The Wall Chart of World History by Professor Edward Hull, England suppressed in global universities, why? To consolidate Babushka egg time cycles based on a Julian calendar linked to 1715 years [4004 BC to 2288 BC], but now I question once more why the Hebrew-Genesis calendar is off by 244 solstice years (4004 BC plus 2016 AD minus Hebrew 5776 = 244) matching the Aztec clock (1715/7 = 245) Julian. The only answer can be found in Noah’s Flood 2288 BC. (Pearl #137) Mankind usually measured time checking when solstice comes around pointing to the sun. However, when we have no tilt axis angle pointing to the sun, time cannot be measured. Now we need to check history to see if the earth axis has been disturbed by an asteroid creating some wobbles. A right axis wobble movement to the left only seen from space will be vertical a few times, thus no time can be measured at that century as the sun is also turning, which has no marker we can see with our eyes. Now check the many ancient clocks in museums around the globe. Perhaps they will reveal their mystery why they have two dials instead using 25,625 years of the Zodiac precession of the Equinoxes, which are too long to measure time replaced by unknown bronze-gold calculators. Notice my World Cuckoo Clock does not have two hand pointers to tell time but is similar to ancient clock calendars exhibited in many museums that show a small circle inside a big circle. Conventionally, it means the small circle is a backwards wobble of the earth axis moving driven by the big circle like gears in a clock, not published anywhere? Babushka eggs show two dials to underscore a higher metaphysical level of Satan’s domain linked to human history. An example is the mystery Antikythera clock (BB #3 chapter 7, page 251), or on a church tower in Prague built in the 15th century and still not yet decoded (BB #3 chapter 9, page 195). Or check the 4000-year-old Toltec clock (Pearl #245, Pearl #137, Pearl #224). Now we use atomic cesium clocks that made synchronizing the Internet possible. The proof for those interested in ancient history could be found in museum artifacts now verified. Noah’s Flood was caused by an asteroid that plunged into the Bay of Mexico on 5 February 2287 BC playing back an exponential wobble in the Planetarium sky. Later the descendants formed the Aztec nation and found a clock calendar from before Noah’s time engraved in stone. You can see it exhibited in Mexico City’s outdoor museums. But the priest class later discovered that this ancient clock seemed screwed up, so they built in Mexico City (5) pyramids on top of each other measuring the zodiac no longer worked to calculate local time. It also got corrected nearby in the Teotihuacan Moon Pyramid with seven (7) pyramids existing on the inside. Every time they found that the star constellations have changed they built another pyramid on top switching sequentially back and forth from Teotihuacan to Mexico City 12 times to correct it. The high priest obviously did not know that the earth axis had changed since Noah’s time (2288 BC). What they remembered from their grandparents was the old moon calendar mentioned in the Torah by Moses who reported a Genesis calendar different from the Julius Caesar or Gregorian calendar still used today. Caesar inserted 2 moon cycles, as the last earth wobble was then still moving. It is measured in our time with a fixed earth axis that came to rest on 21 December 2012 AD counting nearly (13) thirteen moons if you wondered why? Check NASA - G.R.A.C.E. Only an asteroid big enough can create an earth axis wobble to change existing calendars. Remember when the North Pole is pointing to the sun could measure solstice time. Every university worldwide censored that the Julian-Gregorian calendars were changed from an ancient calendar reported in the Bible. Why is the Bible thrown out into the gutter replaced by stupid unscientific evolution religion abandoning true science! No wonder this generation is ignorant of history. Let’s align some overlooked assumptions; perhaps this pearl will shed some light on what is reality. First as a basis, let’s use the oldest history book on earth as a reference. It is still published in thousand languages, which gives it a priority to everything we theorize in most science. If contrasted with the recent NEWS, why was CERN totally destroyed? It obsoleted 32 subatom particles postulated in million printed books to plaster over unscientific vapor trail fairy tales guessing about Nebel-fragments having smashed the atom bond intelligence to smithereens. The free Web has 14 Babushka eggs concept books available with 170 Mini-Pearls to prove that global univer­sities no longer teach true science, nor do they respect an unforgiving nature, which cannot be disobeyed. When you dig your own grave, you will discover that your existence will follow entropy laws of nature, which cannot be violated, thus you perish proving your intent. Do not be surprised when you see another asteroid, Dactyl ignored in the sky as previously projected with science photographed with space cameras. None will escape experiencing again the same consequence as recorded in history, and I do not care if it is suppressed as Life and nature cannot be violated. Science has not yet united five calendars used in this civilization thus it is difficult for the average person to understand what the Bible has along proclaimed. It confused me too and made some early mistakes in projecting God’s Wrath creating Schadenfreude in theologians mostly being ignorant denying truth, thus they will be judged, not escaping his fury thrown together with the global atheistic society. Fundamentally, the Bible is divinely inspired and uses a math system recently discovered the Hebrew Alphabet Number System (HANS), which has a base (7) SEVEN math system. The Babylonian clock is based on 60, like the ancient China calendar cycles. The Romans used a base 10 like our money system, and our computerized civilization uses a base two (plus-minuses), applying magnetism in a substrate creating thousand of modern inventions. Donuts are sold by the dozen, like eggs in a carton, which is a leftover system from the British Empire going back to ancient history. Now we are ready to investigate assumptions, which need witnesses from true science or history. The Bible Torah teaches there are three dimensions creating a Kosmos. The Daleth dimension is linked to Time, and because we are mortal, we need clocks and calendars. Modern fairy tales taught in most schools postulate billions of years and start from NOTHING with a big bang schlimazel. Believing that makes it obvious one lacks any education applied to nature, which is governed by intelligence, linked to Babushka eggs entropy laws. The Hebrew Torah, the oldest book on earth, uses an ancient alphabet, but each letter has a special meaning, which is expressed in math like a number. Thus, the calendar cycles will match God’s Plan for Mankind as each cycle represents another stage. The first page in the Torah-Bible has the creation account and mentioned translated days. Being wrongly translated created a lot of confusion in theological circles not educated in science. But notice. Now a number of YouTube videos show artifacts from ancient civilizations: fossil bones, skeletons of human giant elongated head bones and many mystery items with a technol­ogy most scientists have a problem with. The Bible for centuries was interpreted and embellished with fantasy stories postulated in falsified church dogmas, as most theologians are not educated in true science, rather being biased in an atheistic evolution religion that never made logical sense. We can divide time cycles according to when life appeared, or we divide a period when time can be measured theoretically on the fourth creation day. It needs the sun, but most importantly, a logical Mind beyond monkey intelligence. Why not widen some perspectives, using the Hubble telescope that revealed that we are on the edge of the Milky Way galaxy. A tiny earth-dot circling around the sun with some planets can be linked to what is presented in the first Bible creation report, the oldest record in this world. It stated first there was infinite energy, which started two dimensions – Daleth-Heh like (heaven-earth) biased in a Time-dimension to allow the formation of matter with 750,000 galaxies now photographed. In Hebrew philosophy, anything before the “fourth day” order prior to the earth-moon-sun relationship cannot be measured with earthly clocks as time belongs to the formation of atoms that could be measured with Cesium atom clocks. (Pearl #259) Google it to get the latest opinion but delineate what is projected and do not waste your time if it is based on evolution fairy tales. Basic science is no longer taught in universities. Some of these YouTube videos could clear up the many lies used by the gov­ernment and churches to keep you confused and ignorant. Now you can investigate Babushka Eggs Pearls written to counter what is suppressed in universities to widen knowledge horizons. A seven-based system is embedded in the first pages of the Bible, which can be expanded with true science to 7000 solstice periods we call years once around the sun. But that is an assumption which can be challenged by the next Bible pages numbering in chronological order the patriarchs recorded when they begat the first son and when they died. It became obvious if familiar with genetics that not even Methuselah the oldest man on earth could not be 969 years old? We need to further research history and ancient artifacts to find out what calendar the ancients used. Only a big enough asteroid could change an earth wobble to create a new calendar as ours is different. Checking history, many witnesses could establish a base to better understand 7000 solstice cycles embedded in the Bible. Basically, we have unknown creation cycles that produced a lot of controversies not educated in true science. Followed by the Zayin Age with an inserted small Chet Age of seven Julius years, and considering the birth pangs of the Apocalypse, ending with the Teth Age = 9, which is God’s Kingdom on Earth. From a science perspective it is the restoration of nature reverting back to the same tropical climate that existed before Noah (2288 BC) can only be repeated by another asteroid like photographed Dactyl. To cut across this great confusion, roughly 6000 years could have elapsed as proven by many scientists all ending with Adam and Eve matching 4004 BC (Julian). The Wall Chart of History by Professor Edward Hull, England will make it clear. If you are educated in genetics, GMO, history, physics and the metaphysics now expanded to a different atom structure rediscovered “free energy” still denied. Put together could explain global warming much better from ancient history as thousand science facts where collected in some Babushka egg concept books-pearls lined up in a full menu on the history table. Following the Hebrew calendar after the matching prophecy Tetra Moon cycles, which were estimated to end 5776 (September 2016). Astronomy recently discovered that the 32-mile asteroid Ida has an unusual one mile Dactyl orbiting around and projected to pass this earth. But understanding physics the magnetic field of the earth being stronger will attract the smaller asteroid guaranteed (To find out more, Google “Dactyl”). That was prophesied by Enoch, the seventh from Adam collected some of his science knowledge in Babushka Pearls #264, 261, 135, 125) if you are interested. He was a brilliant ancient scientist and architect who build the Great Pyramid in Giza and has embedded every advanced math like the golden rule we use today. Consequently, the Genesis calendar reported moon cycles within a solstice, but do not think it is the same as experienced today with (13) thirteen moons across a solstice. The earth axis stopped moving only recently to rest at 21 December 2012 as measured by NASA-G.R.A.C.E. satellites. Ten years ago, it was calculated 14 hrs./year. 1 I will come back as King of kings in “one generation” (70) years. (Check UN resolution 29 November 1947.) as Israel became a nation again after 2500 years (Julian). This year in the Hebrew calendar ending 5776 is matching moon cycles September 2016. It was projected to end with another asteroid discovered already in orbit, which is the second asteroid prophesied by Enoch, the seventh from Adam. (To find out more, Google “Dactyl”.) He was a brilliant ancient scientist and architect who build the Great Pyramid in Giza and has embedded every advanced math like the golden rule we use today (Pearls #264, 261, 135, 125). In a simple 7x70 math system put together, we should realize that each asteroid will create another calendar confirmed when we measure ancient bronze-gold clocks on a solstice system. The Hebrew Calendar seven-cycle-system has 7000 solstice periods, but is not a 365-day per year cycle, which is an assumption. Different calendars point to dissimilar time periods, like three time periods divided by two asteroids, which could be defined by Daniel’s ancient calendar mystery system recorded Time-times-½Time. C) ½Time = Yeshua-Jesus Christ return 2017-3018 AD. It is unknown, but can be linked to physics - Dactyl. 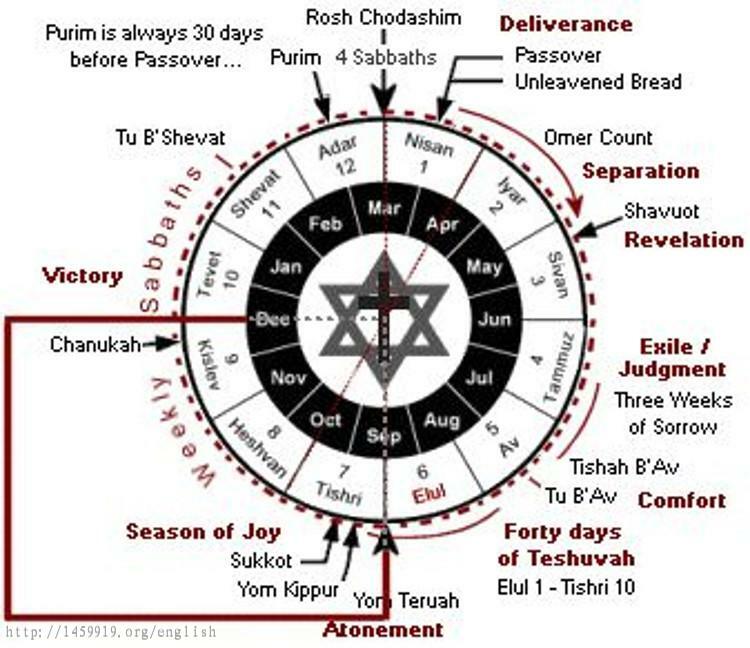 Only the Hebrew calendar (Daniel) in the middle will match the Julian-Gregorian calendar as now defined by true science. Using math, any ordinary equation can figure out an unknown calendar, but if two calendars exist with unknown facts, it takes a little detour. The first ancient Bible calendar matches the Hebrew seven math system proven in the first Torah page and in recent science by ancient museum clocks. Check Babushka egg concept books to widen a knowledge horizon not taught in atheistic universities suppressing history like free electricity? A closer look after the 2288 BC Flood, the second calendar time period was projected by true science linked to prophecy to end in 2016 AD. But the future third or last calendar age after the Apocalypse was predicted in Revelation 1000 years. However, could it match known familiar solstice cycles now proven by changed earth axis wobbles? Perhaps clocks in heaven are different, or linked to Enoch, the architect and builder of the Great Pyramid who has buried the last global calendar in a math structure still used today. It matched the prophet Ezekiel’s forecast. That became very interesting for this scientist - inventor with a habit of searching the trail like a dog on a hunt to find the rabbit hole. Either side of the beginning calendar 4488-2288 BC (Julian), or the last ending calendar 2018-3018 AD (Gregorian), is unknown to science, but they can be determined by investigating history, museums, ancient clocks and Bible prophecies ignored by the establishment. Many facts were put together in Babushka eggs, now logically aligned with true physics matching entropy laws we can check, will establish and confirm truth revealing calendar mysteries. Let’s go back from 5776 (solstice) Hebrew years, which ended on 3760 BC, well past Noah’s time of 2288 BC. We should only consider solstice when messed up by an asteroid, thus a Genesis calendar started with a different earth axis movement around the sun, as recorded in history and proven by ancient museum clocks like the Aztec, Antikythera, and many more. Before 2288 BC belongs to the unknown Genesis calendar, but it can be calculated to fit within the frame of a 7000-year Hebrew calendar range system, thus proving the Bible to be right again. The Aztec clock in Mexico City is linked to 2x7 cycles (14) which could match the Genesis cycles measuring not years but cycles, perhaps moon cycles instead. That could be linked to Moses. The Torah defined religious Hebrew moon holidays in one solstice and reported shorter time cycles, and so it is not a conventional 365-day year sequence. As applied to Methuselah the oldest man on earth. His age of 969 should be converted divided by seven (969/7=138 year old). That age will match DNA gene technology much better. Therefore the unknown different calendar after 3760 BC should be measured by “moon” cycles, which do not change much with a different earth axis wobble. Only gravity could possibly change the day rotation of the earth a little, which now measured 30.5 days against moon month cycles 28.8 – only two days different across 4300 years! Check the Antikythera clock gear ratio, which reveals gravity changes. Once more let’s use a simple math analogy to make sense: 2016 AD minus 5776 Hebrew = 3760 BC and adding 244 will get 4004 BC. But that difference sequence must match the Genesis calendar perhaps converted to moon cycles multiplied by seven, which is 4004 BC. That date is verified by two witnesses from the Julian calendar (1715/7= 245) confirming the 120th Jubilee ending in 5776. That date is defined as ending the apocalypse projected in the Julian-Gregorian calendar (September 2016), thus watch the Dactyl asteroid which will close the time dimension calculated to end in 3018 AD. The Hebrew scholars assumed that the solstice years before the flood are the same as after and today. I do not know when the Hebrew calendar was tracked. But the Enoch math system can establish and project some assumptions, now verified with true science of known facts that solved a calendar mystery. Again, in my corrected Hebrew calendar projection we have two 1715-year cycles from Daniel like his 2x 3½ cycle (490 years). He was a refugee from the 588 BC Temple destruction and rose to the chief position of the Babylonian Empire having divine knowledge. Daniel’s math aligns with Jesus’ sayings indicating a Hebrew system known by everyone, like applied forgive your neighbor 7x70 borrowed from a known math system. When multiplied 7x70 will go with 490 calendar weeks split matching his prophecy in two visions. (Dan. 9:24) The last vision applies to the third Pyramid-Temple build after 2018, which will be defiled again in 3018 AD. (Dan. 12) It is misinterpreted by most theologians still wondering about the Islamic mosque at Jerusalem. Thus, Daniel’s formula of time-times-½time could also overlay to the total time dimension for mortals on this earth, as defined in Enoch’s math linked to an exponential wobble ratio confirmed by different solstice’s cycles. Hence, when time is measured in solstice or weeks, it will not be the same as what we measure today 4300 years later. When there is a backwards wobble will cause the solstice season to be shorter. The daily rotation of the earth is not affected, but a vertical axis movement would change winter- summer harvest seasons being much shorter. In history it is called a mini ice age, which will oscillate resulting in a increase or decrease population culture. To get 1715 years before Noah, the Julian calendar must be divided by 7 solstices = 245 years, which is the difference of the old calendar since Adam’s time (4004 BC). Notice: the ages of the patriarchs given in Genesis must be divided by seven, as the earth axis was different. Noah did not know that a year became longer, as proven by many other artifact witnesses in museums. Counting 190 days, his solstice was one year as the wobble becomes smaller linked to Aztec 260 days, Daniel 300 days corrected by Julius to 362. The 365.24 day’s from Pope Gregory, why not finalize five world-calendars with computers. One thing is sure: once the earth balanced on the fourth creation day with the sun and moon on the edge of the Milky Way galaxy, it could only be changed by an asteroid as recorded in Noah’s time [2288 BC]. Daniel’s formula has tree time cycles. Time (singular) starts with (7) seven cycles for each solstice (4488 BC), which is one turn around the sun, but we should consider that the sun is moving, too. In real time using a Julian calendar, the time frame matches Hebrew time definition to now add 5777+245 = 6000 years actual (Times plural). A correction was done Babushka calendar in the ninth cycle BC-AD. Again, another correction needed to be done with the second asteroid [Dactyl] linked to a different calendar (God’s Kingdom on Earth) to last 1000 years projected in Revelation. But if defined by Enoch’s math embedded in the Great Pyramid in Giza and linked to Daniel [½ -Time], perhaps could only be 490 Julian years as heavenly prophecy clocks are different summed up and totaled 7000 solstice years, not 365 days long. The ELOHIM appointed some people and used their life illustrations, the good and the bad to give future mankind lessons to be reconciled and desire a free gift of eternal redemption. The Prophet Haggai wrote that the Word of the Lord came to him two times in 6th month = 1 Elul, & 21 Elul. He reminded Israel that they would get a blessing by starting to lay the foundation stone of a future Temple. Haggai 2:21-22 resembles a near vision-far vision telescope perspective now match Jonah-II dates: 5776 (4-24 Sept. 2016). Speak to [after-Babel], governor of Judah, saying, I am about to shake the heavens and the earth, and to overthrow the throne of kingdoms. I am about to destroy the strength of the kingdoms of the nations, and overthrow the chariots and their riders. And the horses and their riders shall go down, everyone by the sword of his brother. We have a repeat of worldwide destruction (like Noah-water) but in a far-vision Jacob’s Trouble ending with fire in the sky of an asteroid causing gigantic worldwide earthquakes foretold will widen Jerusalem into a large valley and one side lifted to a high mountain. It will take some time for the ISRAEL remnant to settle down and get organized. Read the whole Book of HAGGAI from a far vision perspective. It describes laying the foundation stone for Ezekiel’s 3rd Pyramid-Temple to end the Daniel 12 last temple prophecy, describing the last desecration by Satan’s abomination of desolations not understood by Christian theologians (3018 AD Gregorian). Watch the next date in your neighborhood sky, the biggest spaceship coming from the far-out KOSMOS appearing Yeshua-Jesus, King of kings, and Lord of lords to save mankind permanently from EVIL. The above article is taken from here because the article could not be displayed properly on mobile devices. This is why it is now posted here when this site is optimized for mobile viewing.